Shanghai (AFP) – Nico Rosberg continued his rampant start to the Formula One season when he completed a hat-trick of wins at Sunday’s Chinese Grand Prix. The Mercedes driver, triumphant at the opening two races in Australia and Bahrain, avoided trouble on a chaotic first lap at the Shanghai International Circuit to romp to the chequered flag ahead of Sebastian Vettel and Red Bull’s Daniil Kvyat. Defending world champion Lewis Hamilton powered through the field to finish seventh after starting 22nd and last on the grid. And that was despite losing his Mercedes front wing in a collision on an incident-packed opening lap which also saw the two Ferraris of Kimi Raikkonen and Vettel collide. Daniel Ricciardo catapulted his Red Bull into the lead at the first bend from second on the grid, but suffered a puncture that enabled Rosberg to take a lead that he never relinquished. Ricciardo eventually finished in fourth with Raikkonen fifth and Felipe Massa sixth in the Williams. 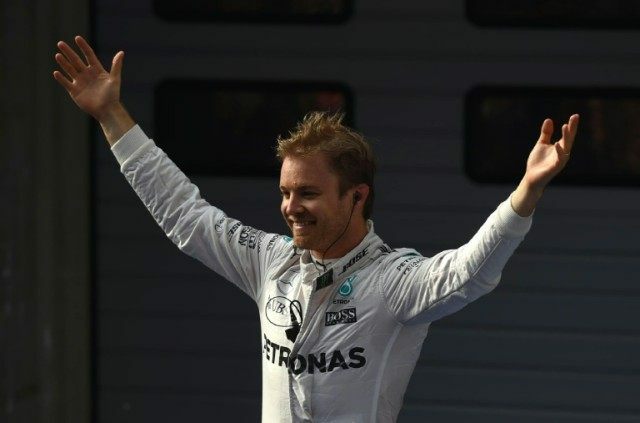 It was Rosberg’s sixth consecutive victory, having won the final three races of the 2015 season.